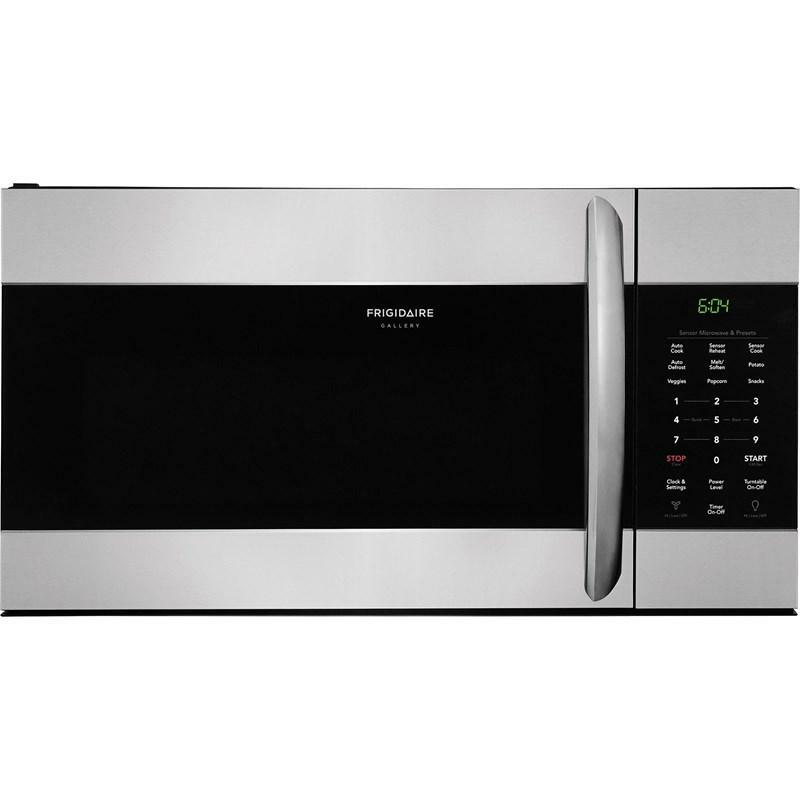 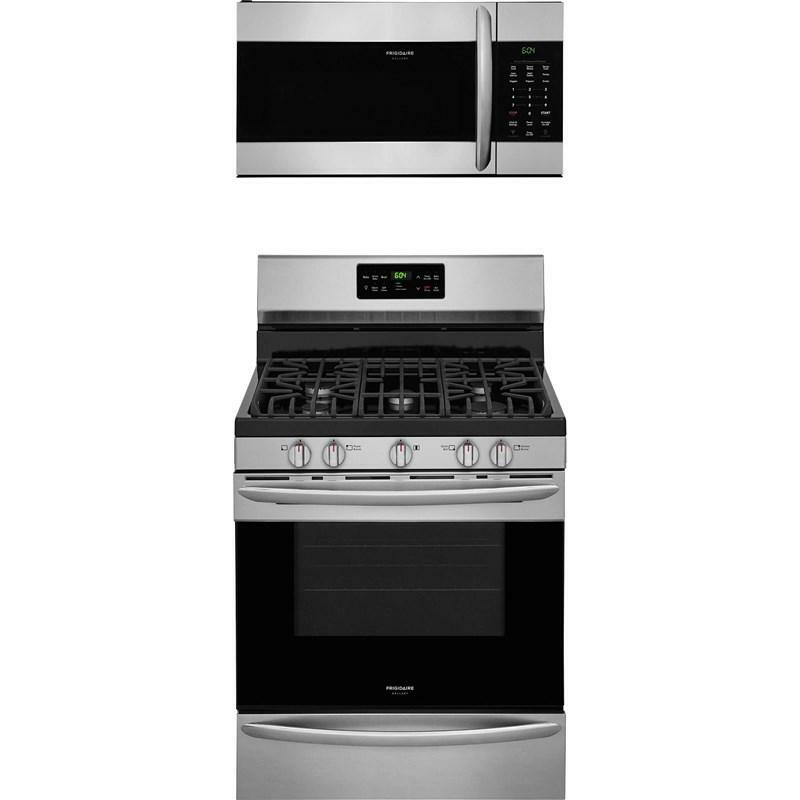 Frigidaire Gallery 2-piece kitchen set. 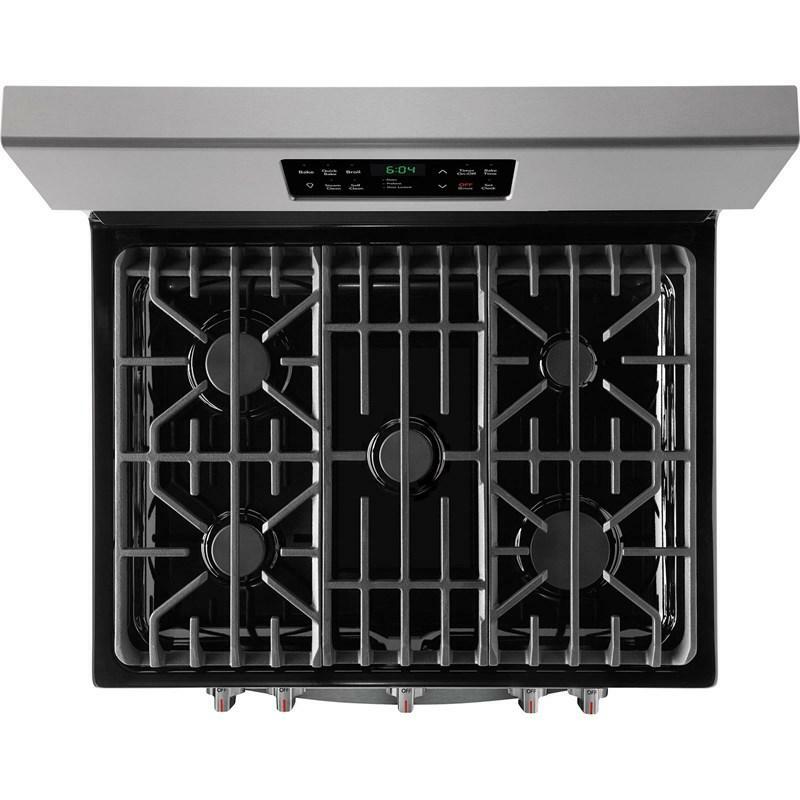 The 30" freestanding natural gas range featuring continuous corner-to-corner grates, a 17,000 BTU power burner and quick bake convection. 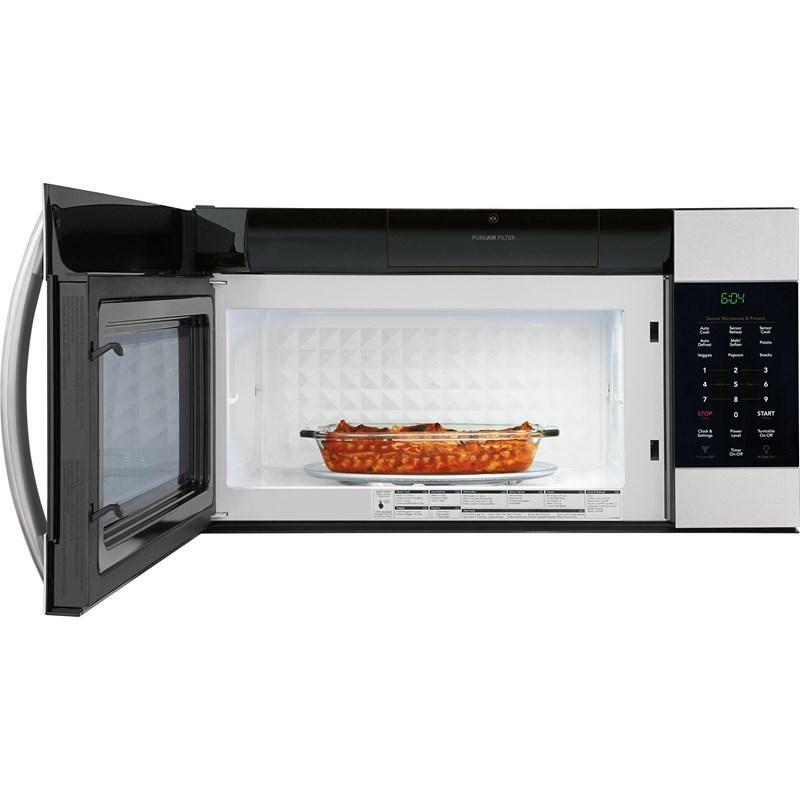 Completing this package is a 30" over-the-range microwave oven. This model features a 1.7 cu.ft. 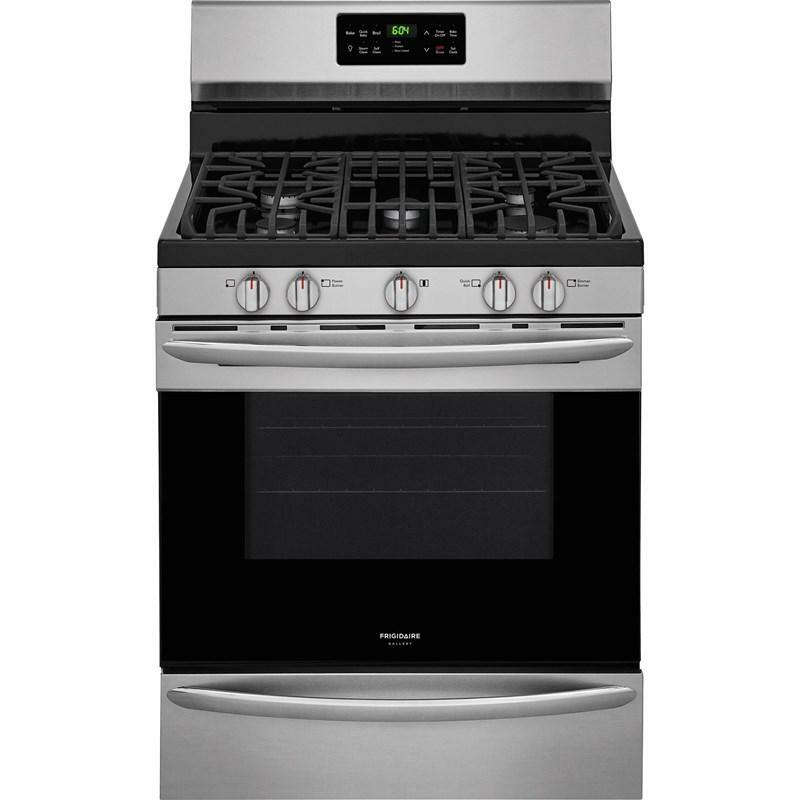 capacity and features 1000 watts of power, cooktop LED lighting and a SpaceWise® rack. 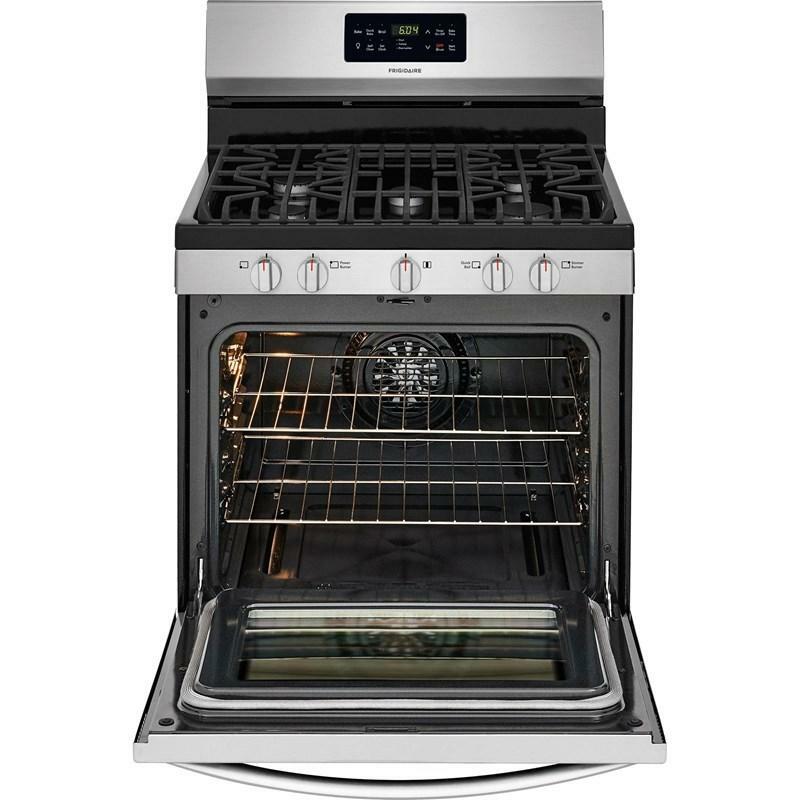 This Frigidaire Gallery 30" freestanding natural gas range features continuous corner-to-corner grates, a 17,000 BTU power burner and quick bake convection.